The acid-jazz pioneers are taking to the stage on the 10th anniversary of this Birmingham festival, taking place 12th - 14th July 2019. Funk royalty and legends of the 90’s Acid Jazz scene, The Brand New Heavies have sold more than 2.5 million records, released sixteen UK Top 40 singles and two double Platinum-selling albums. Now fronted by founding members Simon Bartholomew and Andrew Levy, the group are stronger than ever, continuing an amazing thirty-year run that’s seen them build a truly global fanbase. GET YOUR TICKETS FOR MOSTLY JAZZ FESTIVAL HERE. Mostly Jazz Funk & Soul Festival is located in the idyllic surroundings of Moseley Park, Birmingham: for ten years now, they've been inviting international legends and breakthrough artists from the worlds of jazz, funk and soul to descend upon the park for a celebratory programme of music, dance, and more. This year, they've invited The Brand New Heavies to play a main-stage headline set on Saturday 13th. "We are delighted to be welcoming The Brand New Heavies to Mostly Jazz Funk & Soul for the first time. We asked fans to request a band, and The Brand New Heavies were one of the most requested artists, so we’re expecting the crowd to be really up for this one. Plus it's our 10th anniversary - roll on July!" 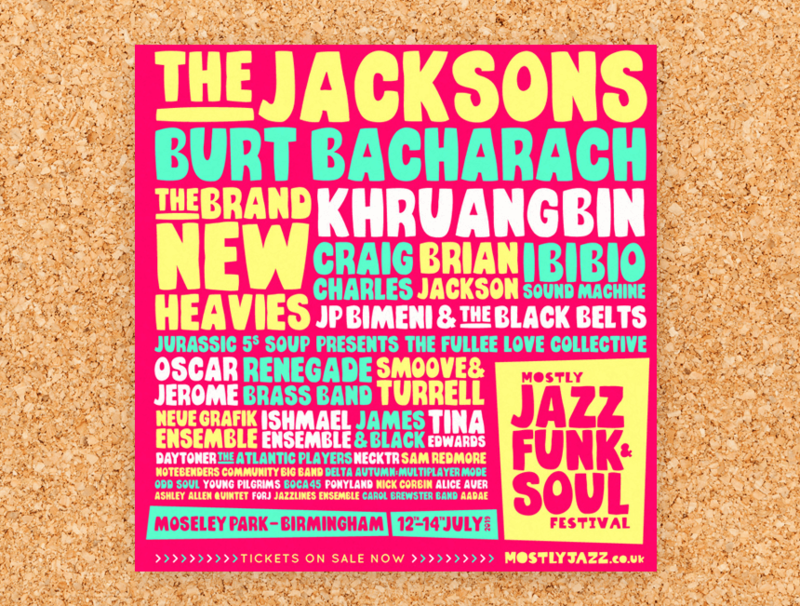 Aside from The Brand New Heavies, the festival's organisers have crafted a stellar line-up that includes huge names like The Jacksons and Burt Bacharach, contemporary trend-setters Khruangbin and Ibibio Sound Machine, alongside rising artists such as jazz/soul vocal talent Alice Auer. Check out Mostly Jazz Festival on Twitter, Facebook and Instagram.